Stephen Lowell Ketter, 71, of Sciotoville, passed away Thursday, June 14, 2018, in the Southern Ohio Medical Center emergency room. Born on April 22, 1947, he was a son of the late Aldred Lowell and Mary Jo Ketter and retired from the City of Portsmouth as a 911 dispatcher. Steve graduated in 1966 from East High School and was immediately drafted by the Cincinnati Reds single A team in Sioux Falls, South Dakota. He was a proud Navy veteran of the Vietnam War, having served on a PBR (Patrol Boat River) from 1968-1972 and the U.S.S. Douglas H. Fox battleship. Also preceding him in death was his wife, Sherry Flinders Ketter. Surviving are a daughter, Aimee (Chad) Welch of Wheelersburg, twin sons, Matthew (Rebecca) Ketter of Wheelersburg and Jeremy (Megan) Ketter of Portsmouth; and seven grandchildren, Gavin and Gabe Welch, Aubrie, Avery and Benton Ketter and twins Jonah and Grady Ketter. A service will be held at 7:00 p.m. on Tuesday, June 19th, at the BRANT FUNERAL HOME IN SCIOTOVILLE with Pastor Brett McGraw officiating. Military honors will be held immediately following the service. A gathering will be 5:00 p.m. until 7:00 p.m. on Tuesday. Interment will be in Sunset Memorial Gardens. Memorial contributions may be made to the Sciotoville Post V.F.W. #3638. 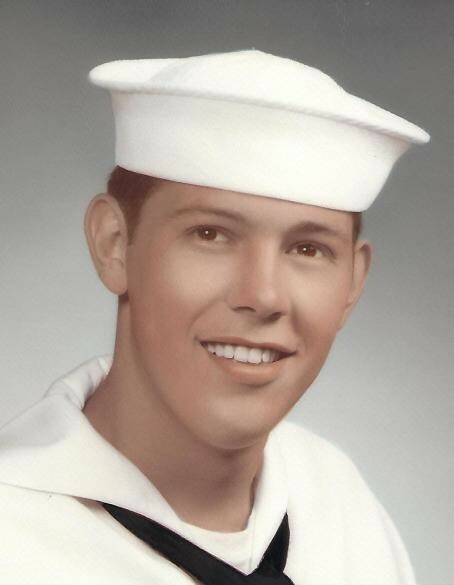 The flags on the avenue will be flying in honor our brave Navy veteran Steve Ketter.